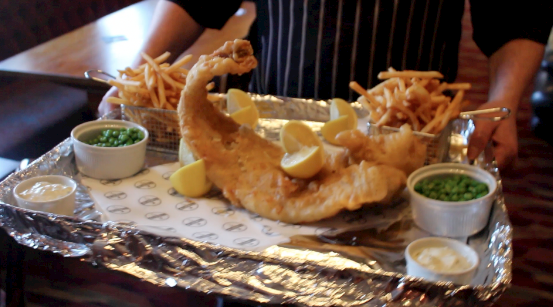 Why are fish and chips in the south so bad? In the great battle between the north and the south, the north will always win. It’s not because of the superior nightlife, or the friendlier people, or even the fact that it’s the home of Yorkshire Tea. It’s because the north is the only place you can get good fish and chips. Fish and chips in the south are bad. Woefully bad. And while they may have the capital of the country, warmer weather and posh voices to make the rest of the world swoon, nothing can make up for southerners’ lack of chippy know-how. Scraps. Gravy. To a southerner these may sound like the leftovers of mama’s Sunday dinner, but to a northerner they’re all staples of a good chip shop. It hurts enough to be deprived of a healthy pile of oily bits of batter, let alone to be asked by the perplexed server what “scraps” are. 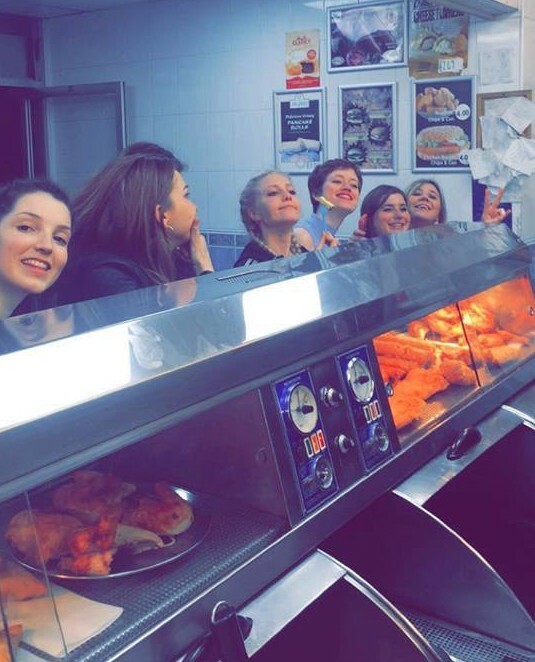 Put it this way: Royal’s Fish Bar in Leeds once baked a double portion of scraps into a pizza for me, just for the fun of it. Down south? I was once refused scraps in a Hertfordshire fish shop because they were “a fire hazard”, which made me feel like immolating myself anyway. 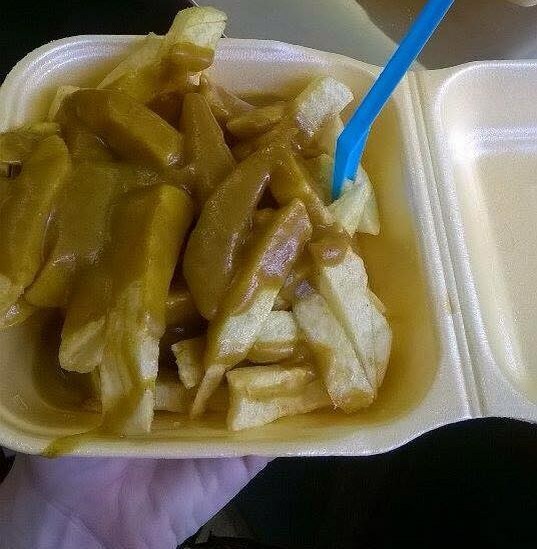 Who are you to tell me that I can’t slather my chips in gravy, or watery curry sauce, or stringy plastic cheese? Stick to your rosemary-and-aioli fries and let me make my own choices. Chips. Bread. Butter. It’s not that hard. You’re fighting a losing battle though: some southern chippies don’t even have pies or pickled onions, let alone a simple barm cake. Are you serious? You can’t butter me a roll of bread, but you can give me a rotisserie chicken and some garlic-marinated prawns? Surely they know if it isn’t deep fried, it isn’t worth our time. 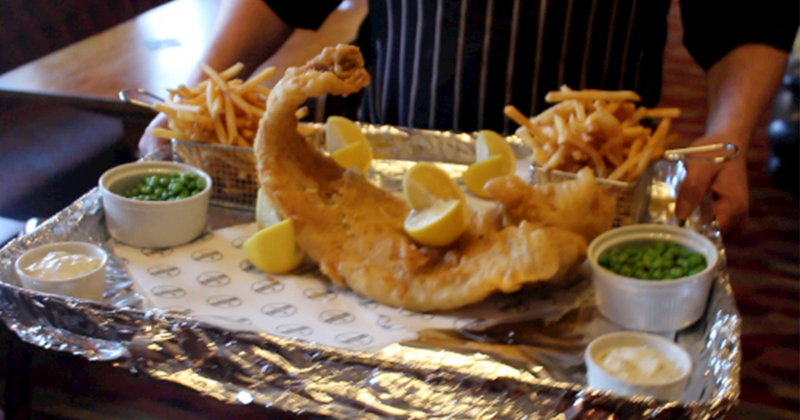 Compare fish and chips in London to fish and chips in Whitby, Scarborough, Blackpool and Blyth – you can’t. There’s nothing like the crisp batter and the fresh, juicy fish you get in a northern seaside town, especially when it’s doused in so much vinegar it could probably start swimming again. In contrast, the vast majority of cod and haddock in the south tastes like an old sock soaked in bleach. In a northern chippy, you’re most likely to be served by a lovely middle-aged woman in a hairnet who’ll chat with you about your day and give you an extra portion of chips. Most importantly, she’ll seem like she really cares. 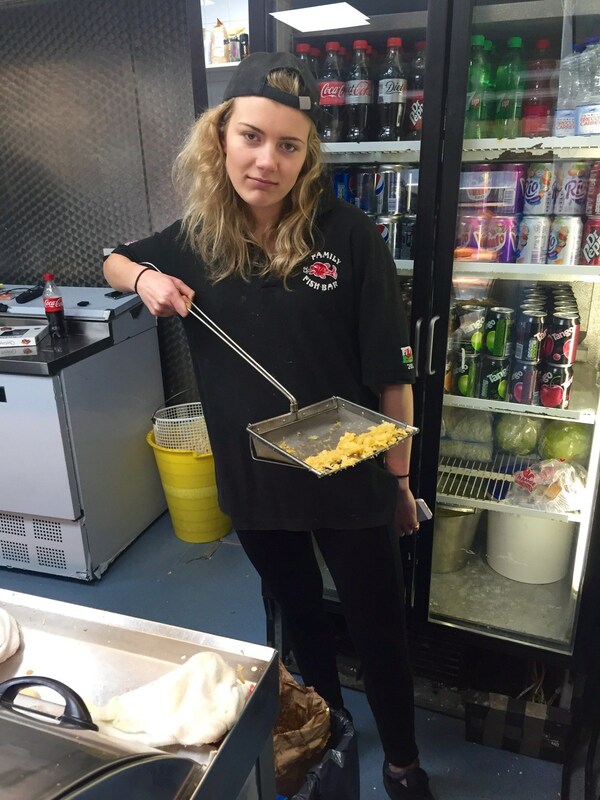 In a southern fish and chip shop, you’re most likely to be served by a vacuous part-timer who gets paid so little and worked so much that they can barely muster a smile as they hand you a number and tell you to wait for your order. Trust me, I used to work in one. Whatever happened to the pioneers? The mavericks? The square pegs in the round holes? Only in the likes of Glasgow and Carlisle are they still ballsy enough to batter everything from haggis to saveloys to Mars bars. You may think it sounds disgusting, but don’t knock it till you’ve tried it. Thus, their curry sauce is mediocre and they’ve never known the pleasure of half chips/half rice. Sure, the south has a coastline too. You might even protest that Brighton and Margate do it just as good as anywhere north of the Watford Gap – but ever since Rick Stein arrived in Cornwall, these gentrification stations have all lost their grip on what makes great fish and chips truly great: namely that the fish and the chips come first. The capital’s even worse: between the “gourmet dipping sauces” at Hook in Camden, the moules mariniere at Lauriston Road’s Fish House and Kerbisher & Malt’s home-brewed pale ale, chip shops in London just try too hard. After all, whatever happened to lukewarm mushy peas and ready-mix curry sauce? 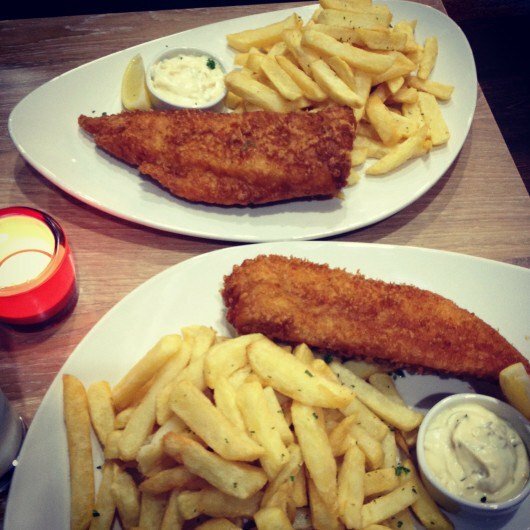 The Fish and Chip Shop in Islington will set you back £10 for a takeaway cod and chips. In fact, it’s not unusual for a fish supper to cost you upwards of a tenner in the south. Look to Yorkshire and Lancashire, however, and you can fill yourself for a fiver – with change to spare for a battered sausage or three. No, I don’t want your “crushed garden peas with parsley and mint”. I want normal mushy peas – the sloppy, salty kind that come from an industrial-sized Batchelors can and spend all day bubbling away in a rusty tin vat behind the counter. Please do not deprive me of what I want. People queue out of the door for a seat in Spitalfields’ painfully kitsch Poppies, while Notting Hill’s Geales has been described by Esquire as having “white tablecloths, large glasses of buttery Chablis and plenty of bourgeois menu additions”. Screw your tablecloths, Geales; we’ll stick to TV-trays on our living-room sofas. Herein lies the main issue with southern fish and chips. For southerners, a chippy is a place to grab a snack after a night on the tiles, or to grab dinner the first night back from a holiday because you haven’t got anything at home to pop in the aga. 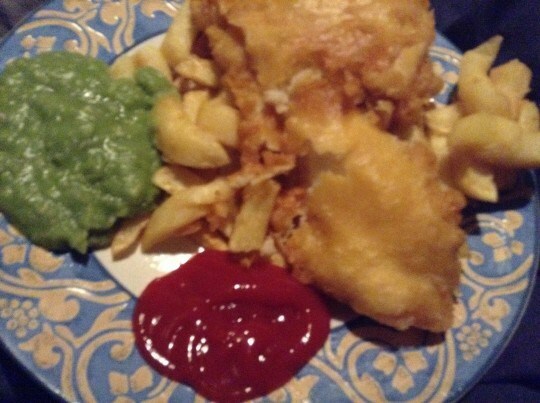 Fish and chips in the North are a sanctity, and the weekly chippy tea is a near-sacred institution. When something is less a meal and more a way of life, you’re going to learn pretty quickly how to get it right. That’s why northerners do it so much better.